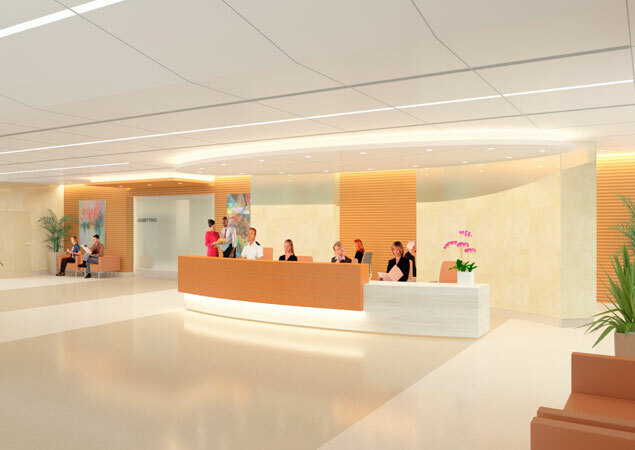 RBB is providing planning and design for the remodel of the South Tower lobby and admitting department at the street level entrance. 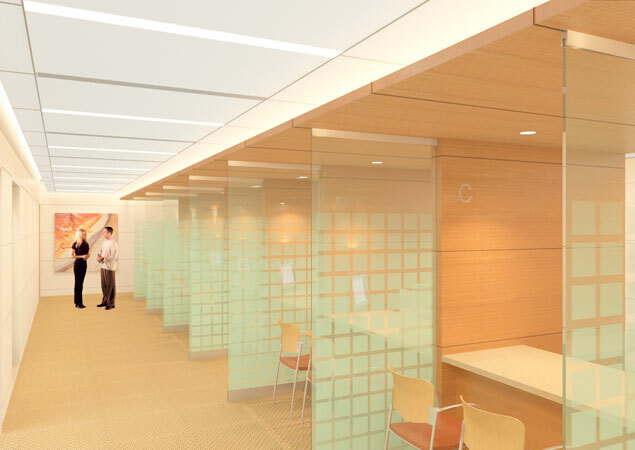 Remodeled areas include the waiting room, admitting and administration areas, elevator lobby and conference room. 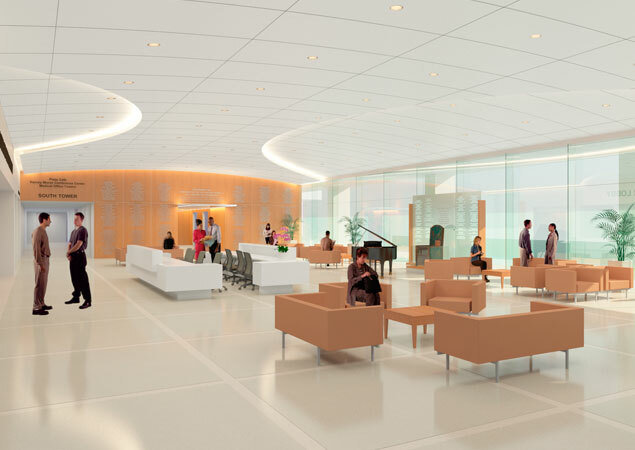 RBB is providing planning and design for the remodel of the main lobby of the Professional Tower, on the plaza level. 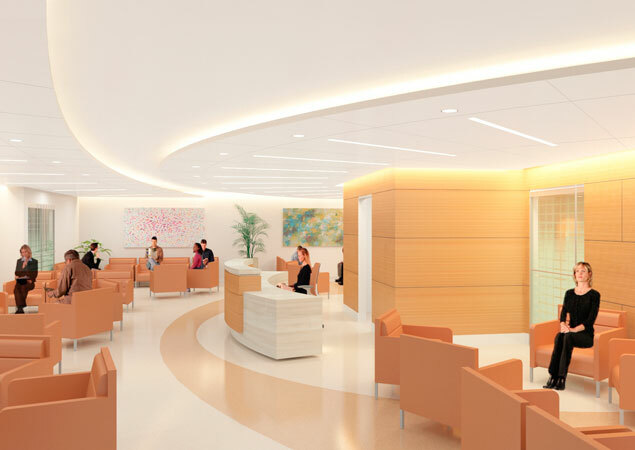 The client’s goal is to create an environment that feels less like a hospital, taking cues from the hospitality sector, with interior design finishes that include softened lighting, high-end glass, stone, and warm wood paneling.